October 24, 2017 / STORIES OF "I DO"
Pauline and Keith had their happy day at a very local location for Stories of I Do. 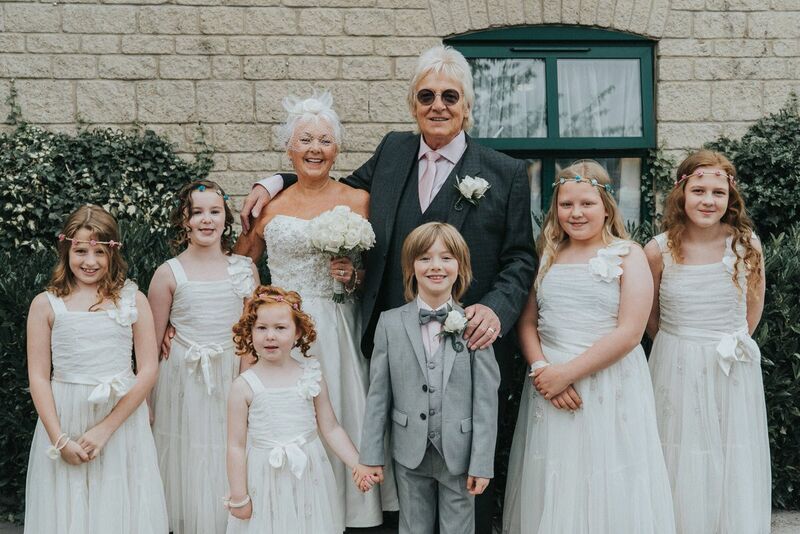 Their wedding day was at The Corn Mill Lodge Hotel, Pudsey, Leeds. A perfect location as preparations, ceremony and reception were in the same place. Here is just a small sneak peek while we prepare their full gallery. When starting the day, we always like to set our cameras to the silent shooting. This was the whole reason we made a move from our Canon Cameras to shooting on Sony Cameras. We love that we can easily swap the camera to silent and take discrete photographs. This gives us a chance to make images without interrupting the moment. It is the perfect way to get natural shots around a nervous bride or goom too! Often surprises people the way we can capture their day without distraction. 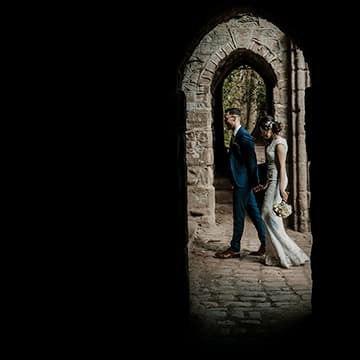 Every wedding photographer will have come across a problematic vicars or registrar. Our silent camera helps us to get around the common rule of no distracting photography. While perfect for the nervous lead up to the wedding it is also brilliant for during the ceremony. 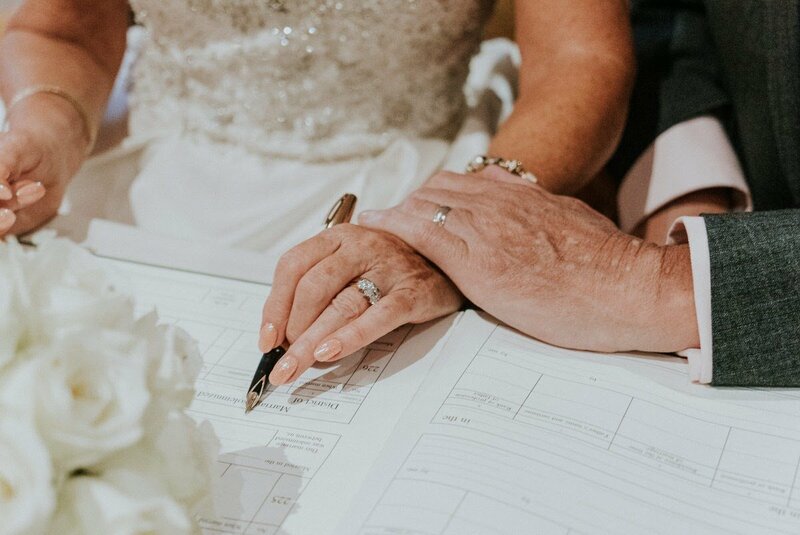 Wedding officiants love this feature. It means we can happily shooting through an emotional moment without extra distraction. Guests can be none the wiser so we often capture fun moments that we couldn’t otherwise. We love our journalistic wedding photography style. It helps the wedding day continue peacefully, so the wedding party can forget we are there. 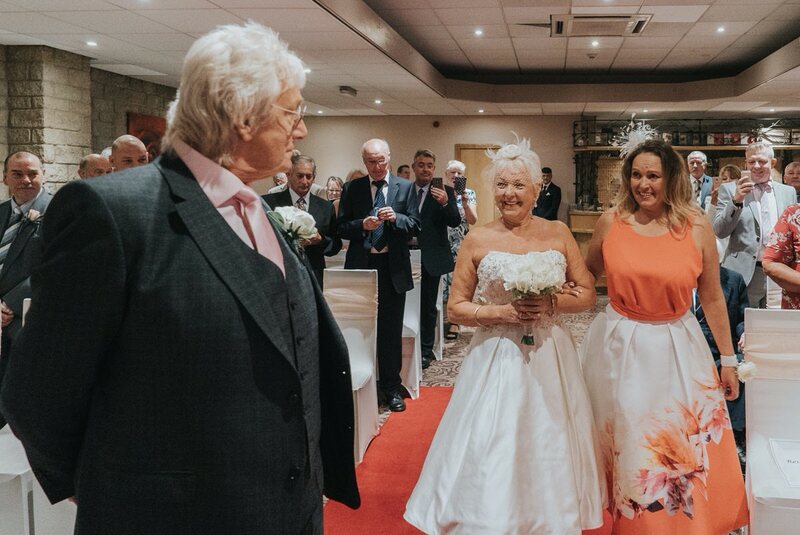 Pauline and Keith had a wonderfully relaxed day full of fun. Although confetti was not allowed, they came up with something even better. Bubble confetti! 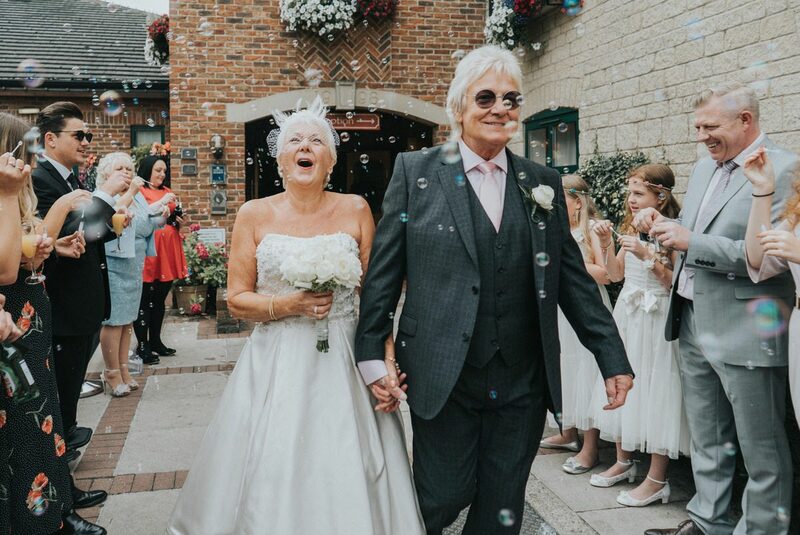 The laughing couple coming through the bubble confetti is one of our favourite shots. The joy on Pauline’s face is infectious. Their friends and family are such fun people to photograph and to be around. We are currently working on their full album, so this is just a small preview of their day. Their wedding so easy to shoot, we spent so much of their laughing. 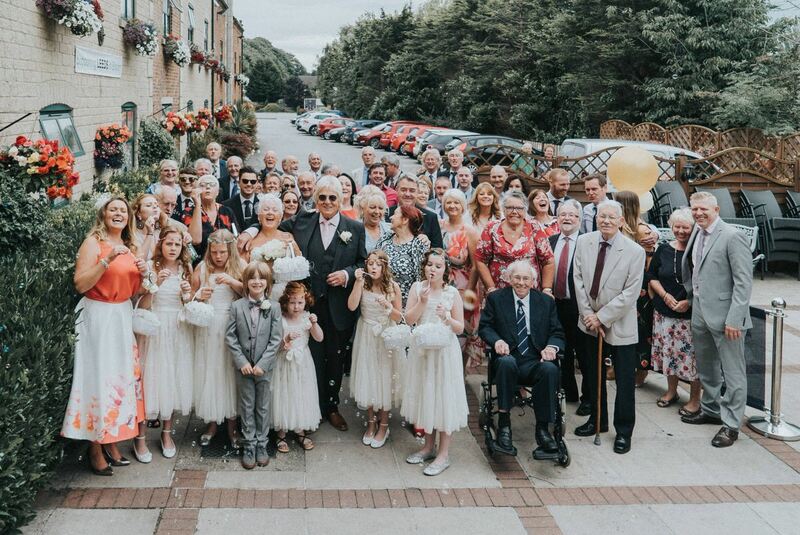 Paige & Mitchell’s – Stair Arms Hotel Wedding, Pathhead STORIES OF "I DO" Lizzie & Dave – Derbyshire Wedding Photographer STORIES OF "I DO" Sneak Peek – Temple Newsam Wedding Photographers STORIES OF "I DO"